Industry vertical consolidation; network verticals that are doing especially well; and what type of digital out-of-home companies that his company on behalf of his clients might be interested in for investment purposes were all top of mind as we interviewed Mark Boidman, director at New York-based Peter J. Solomon Company investment banking advisory firm last week. Boidman, a speaker at The DailyDOOH Investor Conference in New York October 23 and 24, is well qualified to comment on the industry. A lawyer (from McGill University in Montreal), he worked for several New York law firms, getting involved in investment banking with specific interest in technology, and then media, along the way. A year ago, when he last spoke at the event, he worked for Barclays Capital Inc., from which he moved to Peter J. Solomon in May, 2013. We remembered when the audience at that event was told that Barclays was interested in talking to companies that had revenue of $20 million to $25 million or more – a comment that had everyone shaking their heads because few if any had attained that. Solomon, on the other hand, will talk to companies that have only $5 million or $7 million or $10 million in revenue. A big difference! It was, in fact, Boidman who set the wheels in motion while he was at Barclays. for RMG Networks to become a public company On Nov. 9, 2012, Boidman of Barclays Capital Inc., RMG’s investment banker, introduced an associate of Donald Wilson Jr., the beneficial owner of DOOH, to Garry McGuire, CEO of RMG, via teleconference. 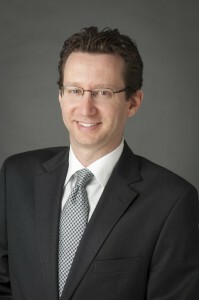 Wilson had made previous investments in the digital-out-of-home advertising industry, and Wilson’s associates had previously been introduced to Boidman as an investment banker in the sector. The next day, Gregory Sachs, SCG’s CEO, spoke via teleconference with Wilson, and during the discussion, Wilson described RMG to Sachs and the two discussed whether RMG would be an attractive target candidate for SCG. The rest is history. While the out-of-home sector, and particularly the digital out of-home sector is an area that Boidman has been following for a few years, at Solomon he also keeps his eye on other media, especially radio and TV. This is evidenced by the newsletter produced regularly at Solomon, an expansion from one he produced for the Outdoor sector at Barclays. Some sectors are more interesting to Solomon than others. Right now the healthcare sector is top-of-mind. Advertisers, especially pharmaceutical advertisers, spend a lot of money in the sector. It can be measured and it’s very accountable. Transit is another sector that interests Solomon. That not only includes companies like RMG Networks, but also companies like Gas Station TV and taxi companies. Boidman, and Solomon in general, spend a lot of time with cinema, retail and technology as well as the healthcare and transit sectors. “There’s been a lot of talk about consolidation, but I really think that we are at the point where 2014 will see it happen,” he says. “There are seven or eight companies in the healthcare sector that could be involved. And I foresee possible consolidation in the DOOH companies in the office building sectors, as well. “Fitness is a category that we like. We see it as a strong category. Historically, it has had some challenges but is doing well now. Boidman says that adverting tends to follow GDP growth and, while nothing much is happening in the current cycle, he believes that the OOH and DOOH industry will benefit in 2014. He’s keen on the advancements in technology with more broadband width, streaming, high speed, and mobile and we expect that he’ll talk about these, among other topics, if asked, at the Investor Conference. When we asked Boidman what he expects of his Question-and-Answer session at the conference, he expects – and hopes – to be asked questions on such topics as accountability; the mobile phone; where he sees the landscape changing; the benefits of mergers and acquisitions; partnerships; the U.S, and international markets; and growing the space. But, of course, he’s open to anything where he may have viewpoints on the industry. And as for young companies, he says that a company must have an open mind at all stages of its development. “Some companies don’t reach out until they are wanting to sell,” says Boidman. “That’s late, wanting to talk when negotiations are about to get underway. We want to know companies long before that, when they are growing and we can develop relationships and help them grow. This entry was posted on Monday, September 16th, 2013 at 12:00 @542 and is filed under DailyDOOH Update. You can follow any responses to this entry through the RSS 2.0 feed. You can leave a response, or trackback from your own site.